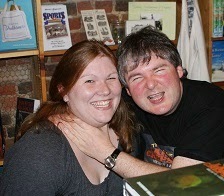 Just me being strangled by Darren Shan. Susan is the dance captain of this motley crew of ravenous readers. Words are her passion and a huge part of her life. A long time newspaper writer, she loves being surrounded by evidence that the written word hasn't fallen by the wayside, whether that's a pile of newspapers or wall-to-wall bookshelves. She can't claim she's always been a reader because she and books had a falling out somewhere around college due to lack of free time. Let's just say distance made the heart grow fonder. 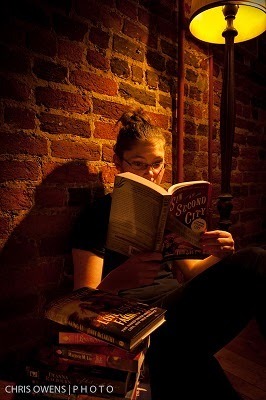 Not only did she rediscover the many worlds of fiction and the impact stories can have on a person's life, but she found a new respect for reading. Who knew summer reading in high school was not a representative sample of the literary world? For that, she is eternally thankful. Jessica is a Virginia girl with a wanderlust heart. She's always planning the next big adventure. She loves to read. She loves to write. She loves to state obvious things. She's been writing for as long as she can remember, but her stories were usually relegated to the forgotten pages of journals past or hidden among random Microsoft Works files on an ancient PC (yes, that says Works). Occasionally, with a hefty push from well-meaning friends and professors, she has been known to put my own work out into the ether, whether in the form of a movie review on a blog or a poem published in a university magazine. She aspires to do that more and more with each bit of encouragement she receives. Cookies are the best encouragement. Just kidding... unless they're chocolate chip. When Jessica's not writing, reading, or hiding in plain sight, she wanders the lean, mean streets of Alexandria. She counts herself lucky enough to be married to her best friend- a supercute nerdy boy she met in marching band. They spend their time laughing hysterically at obscure Arrested Development quotes, searching for the perfect pizza crust recipe, and chasing their lovably neurotic Lab mutt Leela. Wes likes computers and makes a living as a programmer. 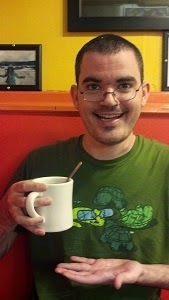 Our web guru and techie, he's recently come out from behind the computer to share his insights into fiction. He prefers books & wine to long walks on the beach and openly professes his love of the Oxford comma. Football isn't his game, but he is a huge fan of other sports (baseball, basketball, curling, etc.) 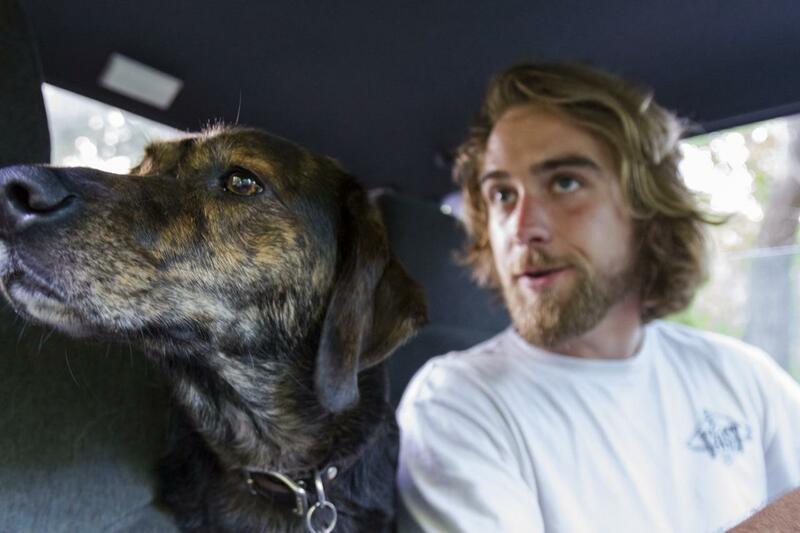 and can be found watching them when he's not discovering his next TV show of choice or hitting the road for a run. Pictured here is classic Wes. Tess learned to read when she was three years old and has pursued this passion voraciously and omnivorously since. From volunteering in libraries to working in bookstores, her nerdiness has permeated even her wardrobe which she describes as "librarian chic" and other people describe as "librarian." She spends her free time obsessing over Star Wars, cooking, going on adventures, being sarcastic, playing in the dirt and working on her 100 year old farm house with her superhero husband. Her dream is to someday be Indiana Jones and possess the library from Beauty and the Beast. 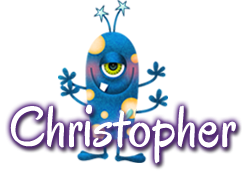 Christopher is an avid outdoorsman, podcast listener (Stuff You Missed in History Class, SYSK, Radiolab, Lore), part-time history nerd, controversial topic discusser, who likes to make things with wood & steel! When he's not out adventuring in the world, he can generally be found in his second habitat -- Binge watching his latest Netflix/hulu/HBO obsession with his furchild, Dixie, and wonderful girlfriend. His favorite book genres are nonfiction (specifically dealing with the Medieval & Renaissance periods) and True Crime… all leaning toward the darker topics & themes. Those are followed closely by Historical Fiction, Narrative Non-Fiction & YA Fantasy-Adventure (Such as Percy Jackson).